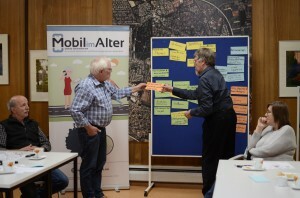 The co-creation activities at MobileAge’s German fieldsite are progressing well. Since May 2016 researchers from ifib meet regularly with senior citizens from Bremen’s district Osterholz and other relevant stakeholders and intermediaries. One objective of MobileAge is the development of a co-creation methdology and the evaluation of suitable methods. 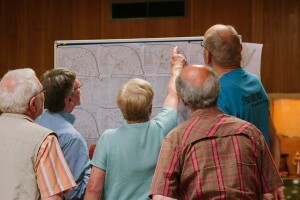 One method we are currently using and evaluating is called “cultural probes”. 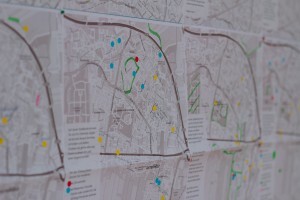 In Bremen Osterholz 11 participants were asked to keep a diary for one week, take pictures and illustrate neighbourhood maps in order to allow ifib’s researcher a glimpse into their everyday activities. 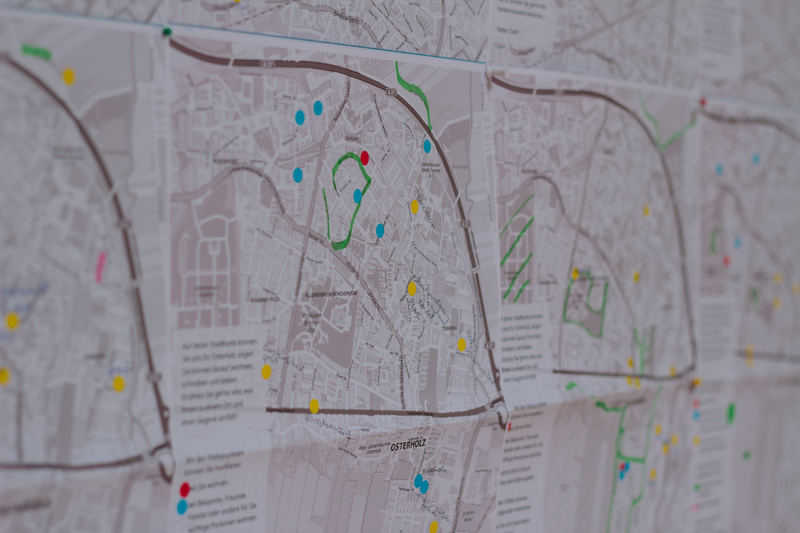 These so-called “cultural probes” were subsequently analysed and each of the participants was interviewed individually for about 90 minutes. On the 12th of July we conducted a workshop were the results of the probes and interviews were discussed with the participants. 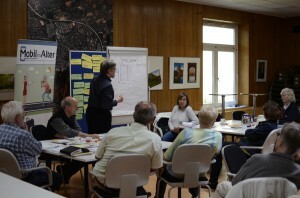 Subsequently we jointly developed 3 “personas” based on workshop results and the German Senior Citizen Survey (Deutschers Alterssurvey). These personas portray different ideal types of elderly people living in Osterholz and their life situations. We discussed these personas on the 16th of August. 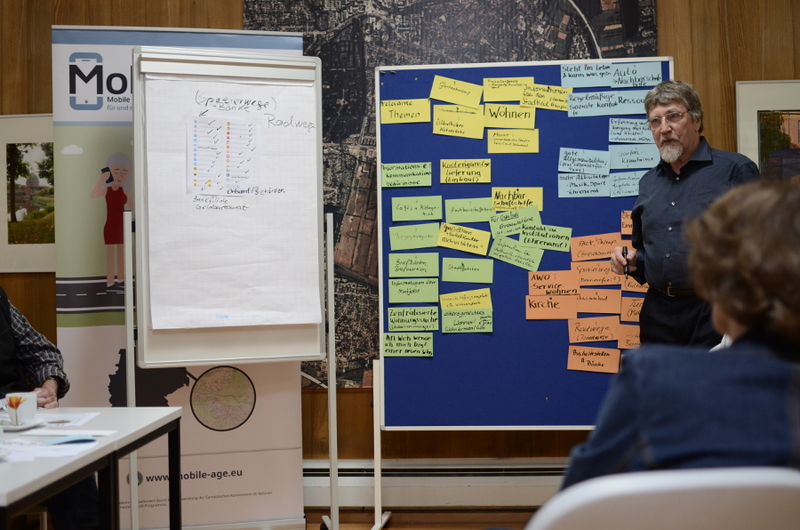 At this workshop we identified relevant topics and themes, information and communication requirements as well as resources of senior citizens. 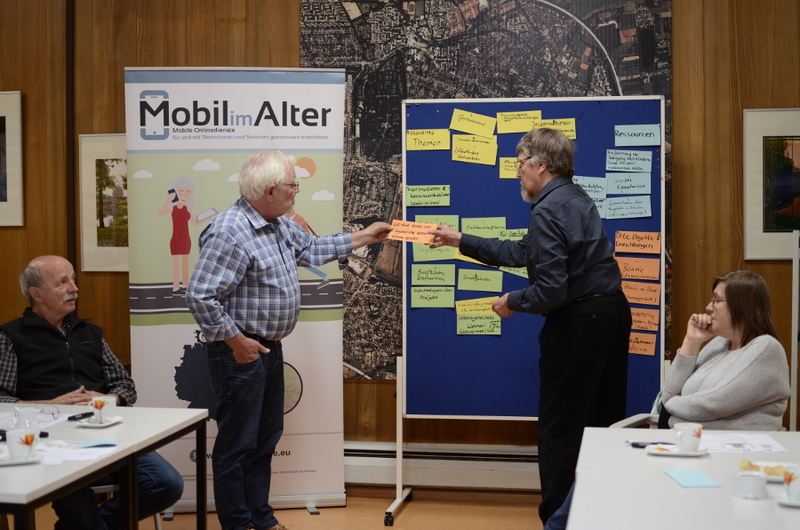 The ideas developed so far are interesting, engaging and very relevant to the life situation of many senior citizens living in Osterholz. We are hence looking forward to the upcoming months and our further collaborative co-creation. The next project meeting will take place on the 7th of September from 10.30 – 12.00am at the EastSide Internetcafé in Tenever. 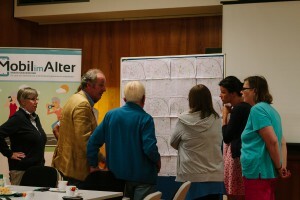 New participants are very welcome as this would be an ideal event to join our co-creation activities.